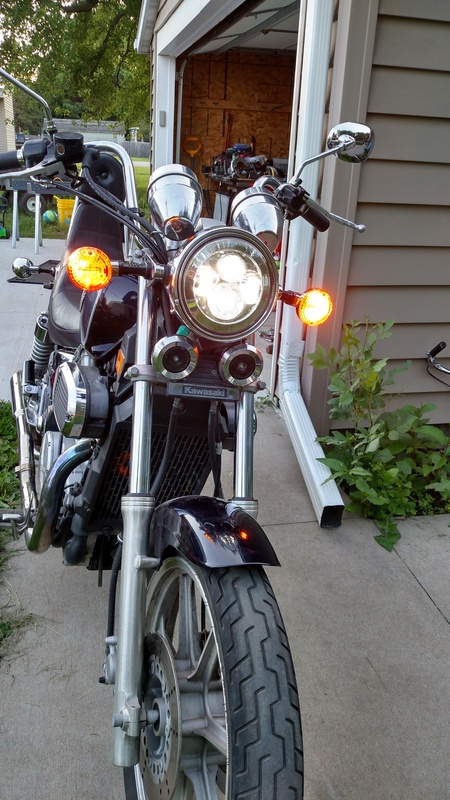 7" LED Projector Headlamp Conversion "How To" with pics! Just finished upgrading the old and tired looking Halogen headlamp to a projector LED headlamp. A VAST improvement in light output! Unfortunately, this was not a simple headlight swap. 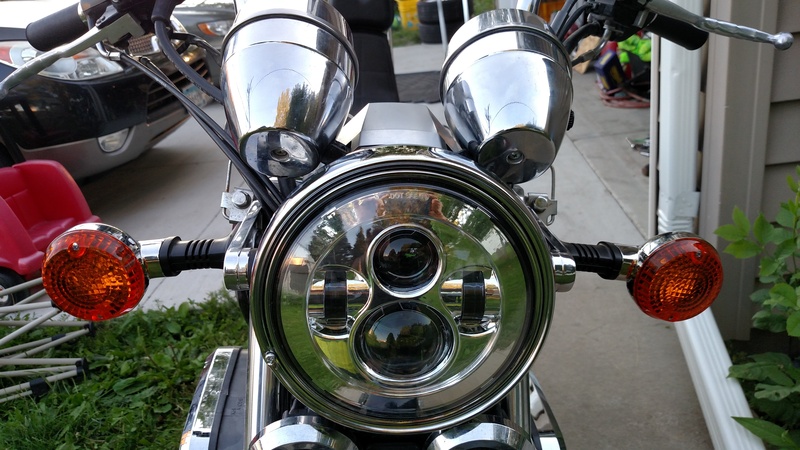 To make it work, it required a completely different headlamp assembly (bucket, trim & mounting rings). 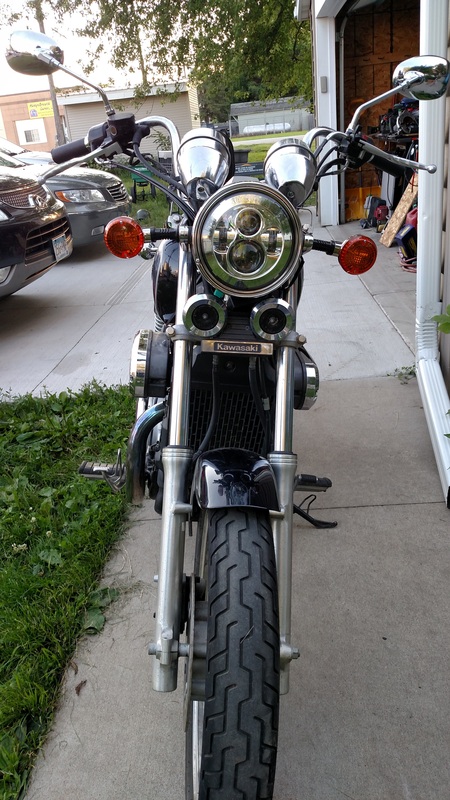 I used the headlight assembly off a Kawasaki 1976-1979 KZ750-B (see pic above). This headlight bucket kit is crossed referenced and used on several other 70-early 80's Kawasaki motorcycles. 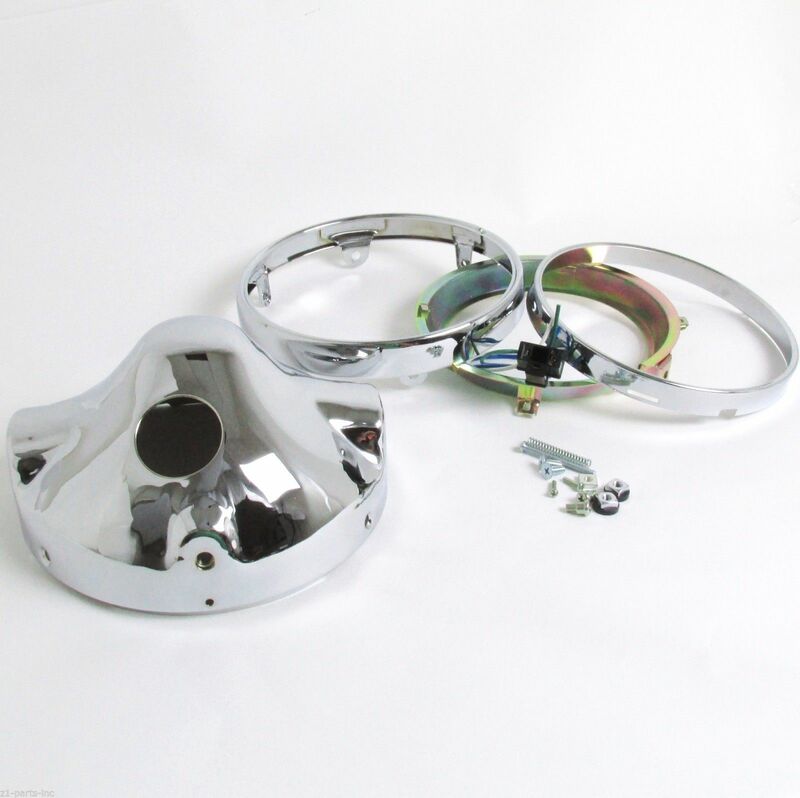 The kit I used is a aftermarket reproduction, the OEM part number it copies is 23005-1015-21. (Note) You will reuse the mounting rubber inserts and bolts /nuts from your factory bucket. 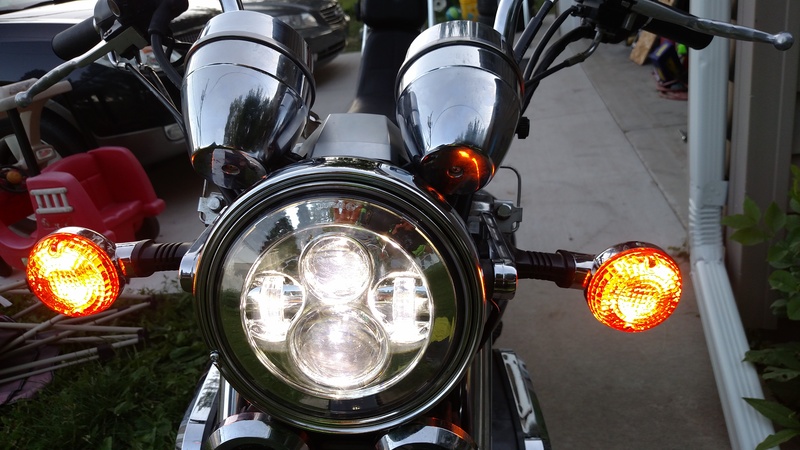 LED headlamp is a Sunpie 7" LED Headlight (see link below). Can be found on Ebay and Amazon for roughly $60. Got a open box one off Ebay for $38 shipped, so shop around. So for less than a $100, very worthwhile mod! OleDirtyDoc, Spockster, JimmyMac and 1 others like this. Last edited by Iceshot; 01-21-2018 at 07:59 PM. Looks Good. Can you do a nightime pic? 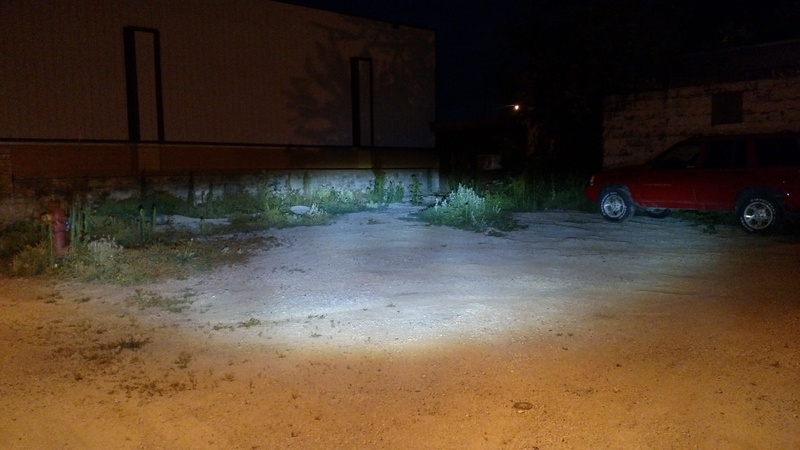 How much brighter does the headlight appear to be? 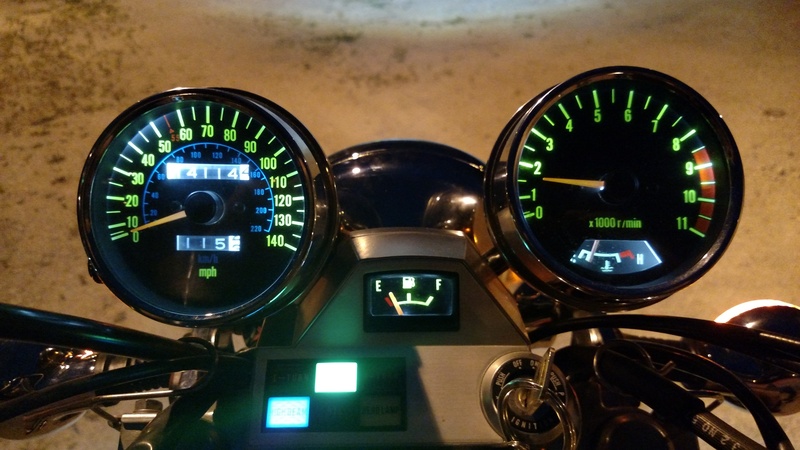 I believe a stock bulb draws 40W on low and 60 on high. Does anyone know of the 80W version is just too much of a draw on the charging system? 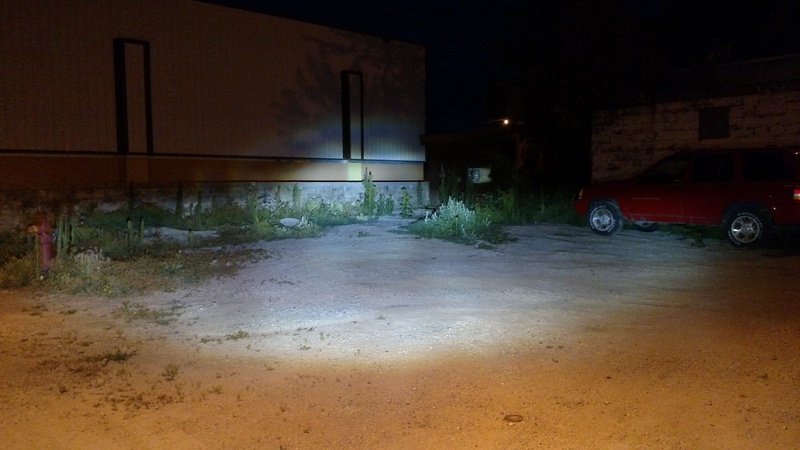 I use an "off road" H4 bulb in my ride, Wagner Lighting BP1210H4 Halogen, it runs 80W low beam and 100W high beam. I have had no problems in the 10 months its been installed. Be a little cautious about "80W" I have a bunch of LED's that are "10W" in the advertising but only draw 5W of electricity, bright little suckers though. 8,000 Lumens? That's fricking bright, almost dangerous. makes you wonder if those are Chinese Lumens or real ones. We were also discussing an 80W LED "Daymaker" from a Chinese source via Amazon. The Chinese are known for very inflationary lumen estimates in their advertising. They use the same chip LED's (from Cree) as most everyone else but somehow they claim WAAAY more light in Lumens than the chip itself can produce. That's why I asked for side by side light comparisons in my first response.